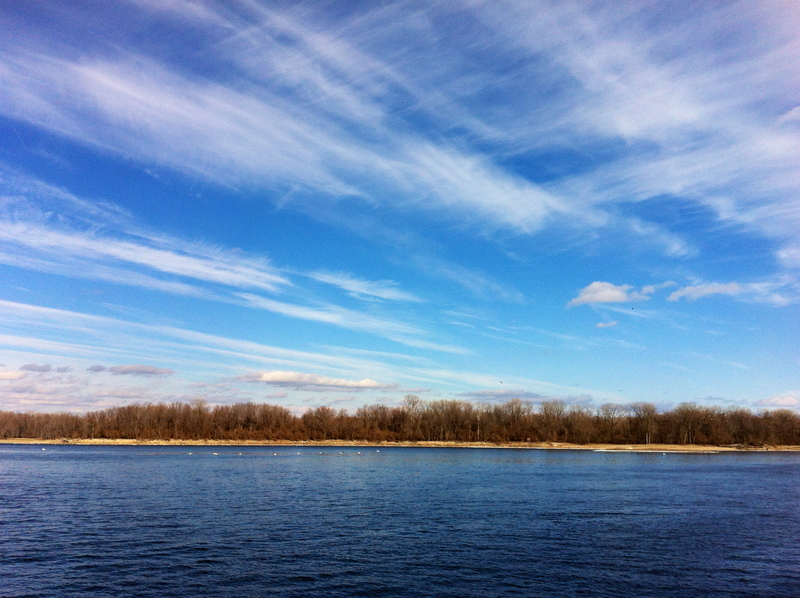 The Upper Mississippi River is one of the world’s best spots for bird watching. 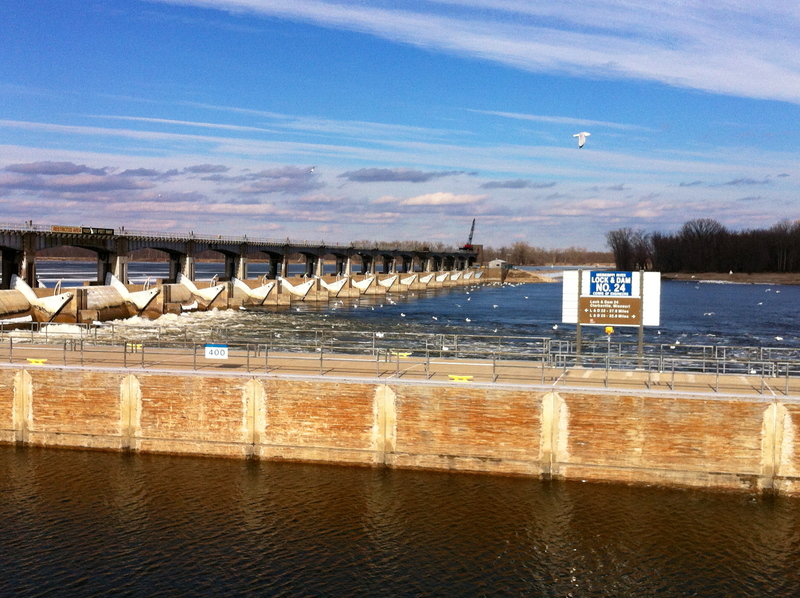 Each winter, thousands of bald eagles make their nests on the river between St. Louis and Minnesota. The eagles don’t live in St. Louis itself due to a lack of trees along the river. 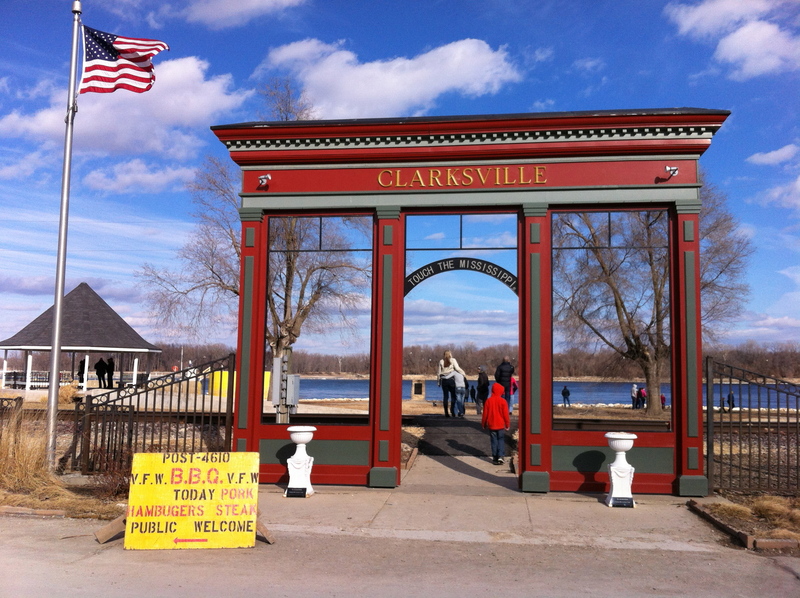 However, one famous spot, Clarksville, Missouri, is located about 90 minutes northwest of St. Louis. On the third weekend of January, Clarksville hosts an annual bald eagle watching festival that draws thousands up to this tiny no-stoplight town. The town has a very large riverfront park that was populated with hundreds of camo-clad eagle-enthusiasts and their large telescopes. The eagles nest in a forest on the other side of the river, in Illinois. Because the river is a half-mile wide, it is impossible to see the eagles with the naked eye. The eagle-enthusiasts were very friendly and more than willing to show me the eagles-about 50!! !- through their telescopes. In addition to bald eagles, lots of pelicans were flying around the nearby lock and dam, about 100 yards upriver from the town. It is very special to be able to see America’s favorite bird in the wild. 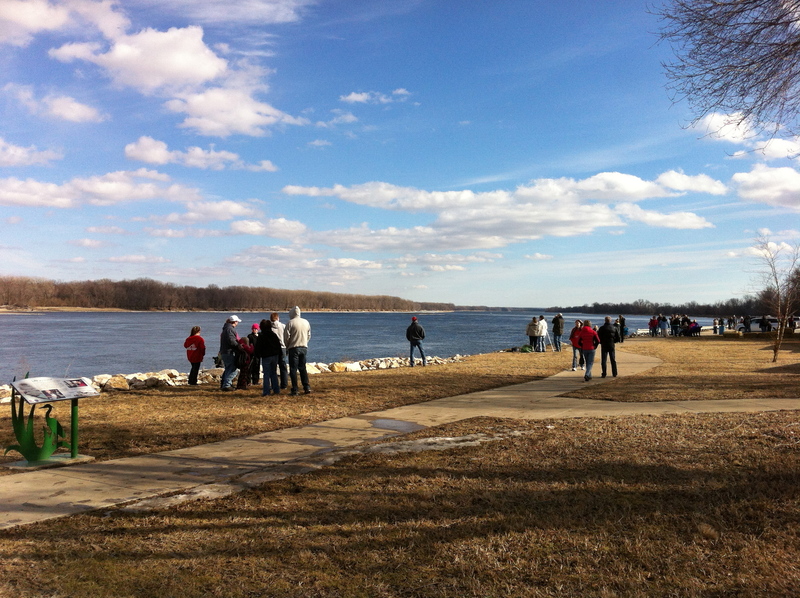 Clarksville’s bald eagle watching festival was a very fun event and an easy way to see the eagles.